NTR Arts banner that was established by Hero Kalyan ram in 2005, is going into its 11th year soon . The banner recently delivered successful Patas movie and it gave big break for Kalyan Ram. Now as per reports Nandamuri Kalyan Ram, who is producing Kick 2 on NTR Arts banner, is planning to release the movie on May 28th, 2015 which marks legendary NTR birthday. The movie is expected to wrap up all the formalities by May first week and Kalyan Ram is planning to promote it in a big way from end of March. A sequel to the 2009 blockbuster Kick, the film is being directed by Surrender Reddy who directed the original. Kick 2 story is about the son of Ravi Teja and Ileana from Kick movie, as per inside sources. 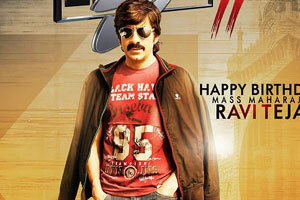 Rakul Preet is playing the love interest of Ravi Teja in Kick 2. Thaman is the music director of this movie.